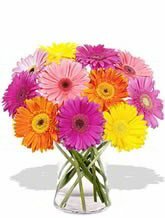 Gerberas are an all time favourite with everyone. 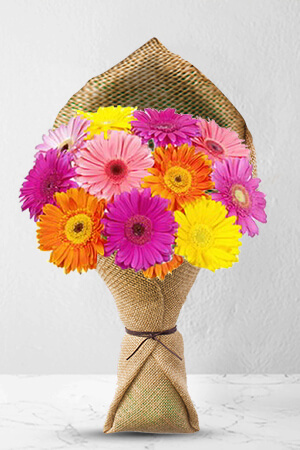 Lavish is sure to convey love and happiness to all who see this colourful and radiant bouquet.Vase not included however; for the ultimate gift we suggest sending a Premium or Superior Vase as addition alternatives to these chirpy Gerberas. I appreciate the phone calls made and the follow through email sent to secure the mobile phone of the recipient. Very efficient, thank you Tamora from Australia. Easy to order. Immediate delivery. However flowers were not what I ordered although very nice. Arrived quickly and was very beautiful. The flowers were absolutely perfect. The delivery was timely. And the customer support I received with tracking my package was extremely helpful. Easy and efficent! Would so recommend it to anyone.